Die zombie! Die AGAIN!. Zombie killing is FUN! XD. 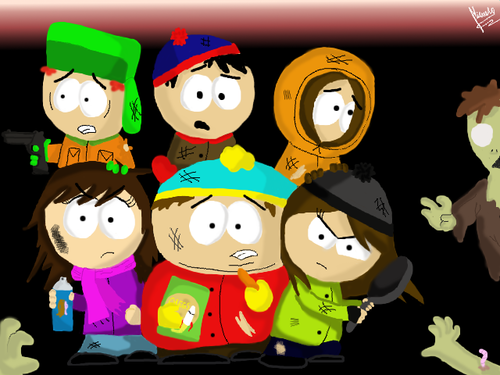 Wallpaper and background images in the Южный парк club tagged: south park kenny stan cartman kyle mica thea zombie die. Screw Ты Guys!... I'm Going Back to the Homepage! WOW!! it is awesome! i like so much this drawing!!! I love this, really nice colors and shadows! 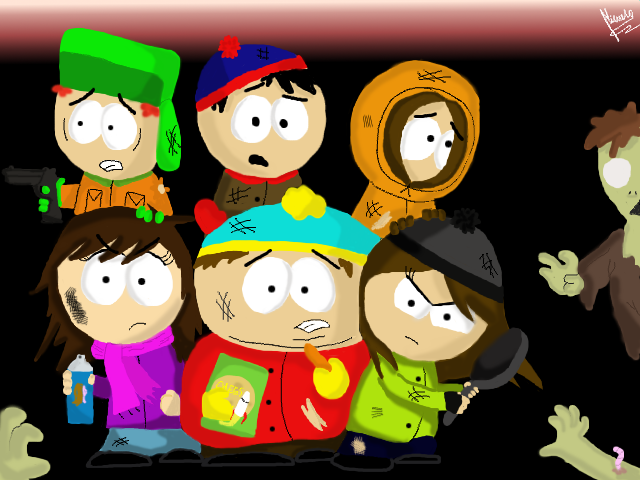 why is cartman giving a zombie a chessepoof ? That's awesome!!!!!!!!!!!!!!!!!!!!!!!!!!!!!!!!!!! I wish I was in this! Nice drawing, but who are those girls I keep seeing in these pics?